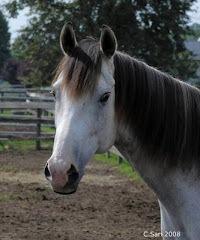 Will Cummings in his comprehensive report for racing titled "Analysis of the Data and Fundamental Economics Behind Recent Trends in the Thoroughbred Racing Industry" said this: "the industry’s frequently-touted “churn factor” of 7" when referring to churn rates (i.e. the amount bet as a multiple of original dollars). This is no secret as we have all heard racing speak of that churn rate innumerable times. This does not use the Thalheimer model, or any other behavioral model for takeout. For example, clearly at 40% takeout, almost every player will tell you that the board will have zero value and there is no way handle would be as high as $6.7 billion. However, using a churn factor that racing itself has trumpeted and extrapolating it at different takeout levels, this is a list that we found very eye-opening. Interesting, but the extrapolated return to purses and to the tracks actually doesn't increase by all that much, even at much lower rates. 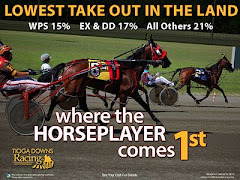 At 20% (I'm assuming this, don't have the exact number at hand); the ADWs, OTBs, tracks and horsemen get $2.46 billion from the current takeout and handle level. At 5%, even in the (in my view extremely unlikely) event that the handle would grow to $54.2 billion, they'd get $2.71 billion. That's a nice increase, but unless the simulcast fee model is fixed, most or all of the increase would go to the bet-taking intermediaries and not to the horsemen and the track operators. Given the risk, why should we go there? How about some controlled experiments to see what really happens? Steve, thanks for the comment. That is a flat curve based the churn rate that racing says exists, but not incorporating any statistical takeout model like Thalhiemer (eg as we all know the curve is not smooth at all in takeout models). As we said in the piece, for example at 50% takeouts handle is said to be about $5.1B, which clearly is not going to happen - it would be lucky to be $2B. Same thing on the other end. Takeout models that have looked at elasticity all say around 12% might be the good spot to be at, to maximize money for purses. This only takes churn into account. 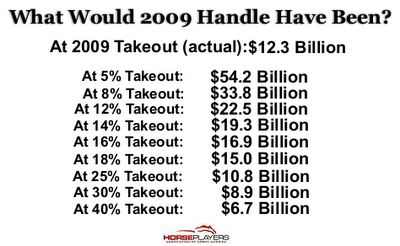 There is no difference to the industry if a 20% takeout yields a track 100 million in betting versus a 10% takeout yielding 200 million in handle. 1. 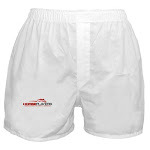 The horseplayer will last longer and devote more time and effort towards horse racing, betting, watching, handicapping, etc. They will feel they are closer to beating the game (and some may be now beating the game). Because of this they will cut back or eliminate other forms of gambling in their lives and devote more of their disposable income towards horse racing than they did before. 2. 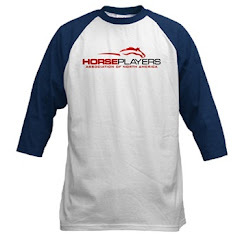 Because the existing horseplayer devotes more time and effort to the game, it means that there is an enhanced possibility that other people the horseplayer knows will get exposed to horse racing, some will get intrigued enough to try it, and of those, some will eventually become horseplayers themselves. 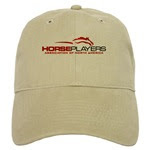 In a family setting, when the father or mother is spending time betting on horses, the children will most likely become familiar with the game and eventually some will become horseplayers too. 3. The lower the takeout the more likely visible long term winners will emerge. This is a huge drawing card for new potential horseplayers, and was probably the biggest driving factor in the exploding online poker market. Raise takeout, and the opposite effect will occur. You guys continue to push for lower takeouts. As a small player myself I would like to see that as well. Obviously if I was a large player getting 8-10-12 % I would simply find somewhere else to invest my money and get that return but that is another story. So your point is lower the take out, handle will rise, industry will grow. If the tracks cut the takeout in half handle should double in your theory. For this exercise let’s say a little more than what you guys keep pushing which is optimum at 12 %, but just for ease let’s say half from the national average of 20 % currently to 10 %. That would mean handle would have to double from its current 12 million +/- just for the tracks to get back to even to where they are now. This would mean all the tracks would have to also cut their host track fees in half as well, to keep a balance for this exercise (good luck with that though). Anyway my question is how long will it take in your opinion for the handle to grow to double what it is? One year, ten years, twenty years? While this growth happens, how many tracks go under because they are working off of less revenue? How many people lose their jobs to include track employees, vendors, farmers, vets, etc.? Stop being so selfish! Push the people you wager with to rebate every player, even the small players. You have a better shot at that happening than lowering the takeout and it will have less of a negative impact on the industry. You have to remember the really big players, not the 5 – 10 million a year players, but the true big players, $ 50 million of more a year will go away if you lower the takeout. They want a return on their investment, a tangible item, they want to see it, receive it, and touch it! They really don’t care about churn and/or about bringing friends into the game. Quite frankly dealing with these guys for years has me believing they could care less about anything other than their rebate amount. They move from ADW to ADW, race track to race track for a quarter point. I have seen it happen. Push the tracks and the industry to provide better customer service and rewards for everyone. This obviously takes money. 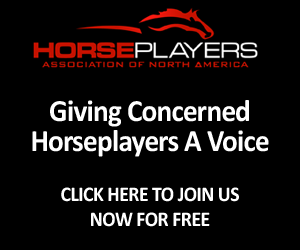 To make that happen you are going to have to get everyone on board to include getting many of the tracks, Tracknet, Keeneland, NYRA, Oaklawn, many California tracks (all the prema donnas’) to share their signals with everyone. You will have to get them to provide reasonable HTF’s and you will have to stop the silly regulatory initiatives such as independent monitoring, SAS70 compliance requirements, TRPB investigations, ACRI over the top regulatory pushes to justify their existence, and other such initiatives that are politically motivated or viewed as a revenue source for these operations that push these types of initiatives. Once you get those all on board (20 years or so) you may see a small increase in handle, but doubling it. Not a shot! Lowering the takeout may work but it will be a long haul (in my opinion much more than twenty years) that will affect millions of peoples’ lives and livelihood and in the end may not work because who knows what will happen in those 20-40 years. Try to think outside the box. I think you guys have hit a flat spot and can’t let this go. The proverbial dog with a bone! Come at it from another angle! We are tired of hearing about it! Well, all I can say is that it doesn't really have much that difference between the returns of purses and of the tracks.